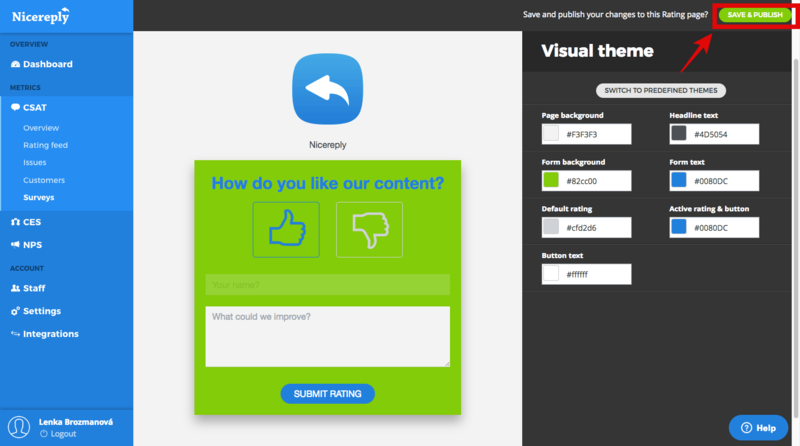 However Nicereply allows you to edit this design according to your branding and needs. 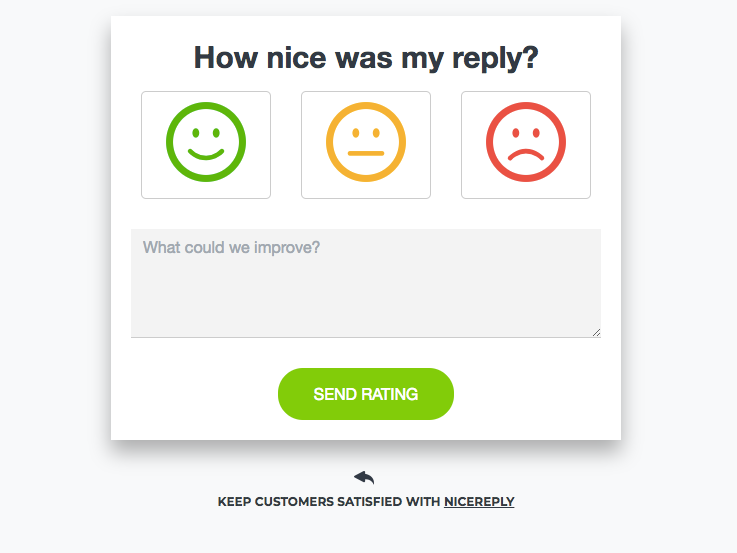 To edit your CSAT survey go to your Nicereply account > click CSAT > Surveys > Appearance. 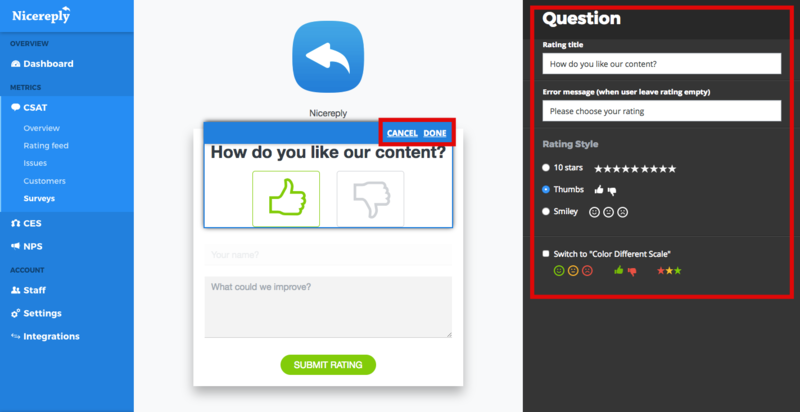 Here you can find multiple options how to edit and refine your survey. 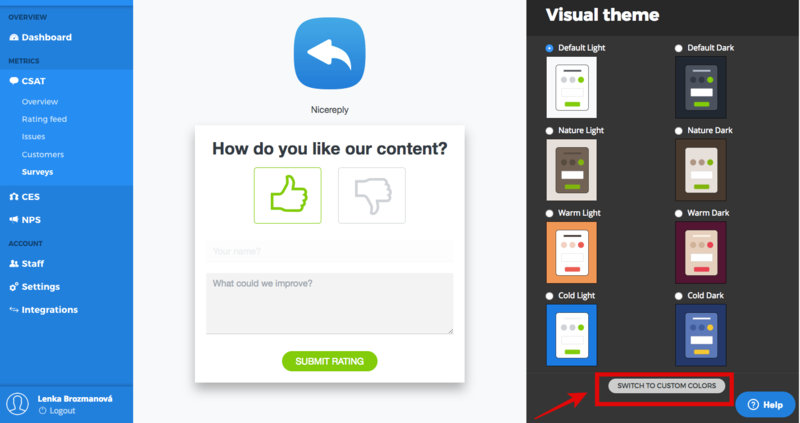 What you can also edit here is the questions and texts of the rating form, rating styles and scales. You can either choose from the color palett, or insert HTML color codes. 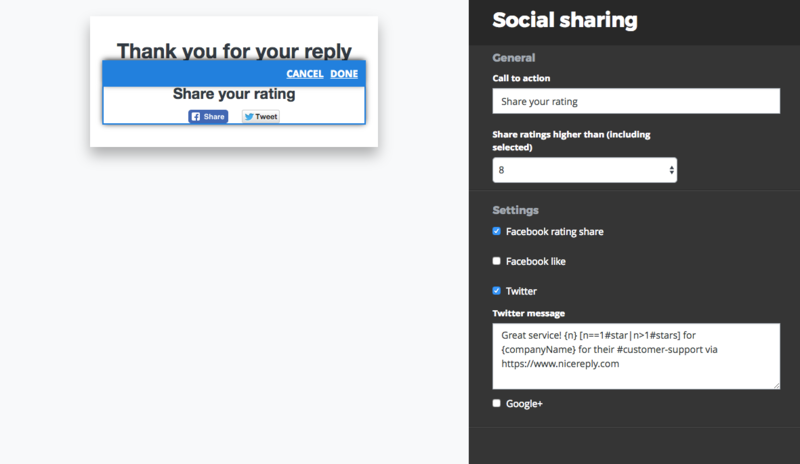 When you are done editing your CSAT survey don't forget to click SAVE & PUBLISH! 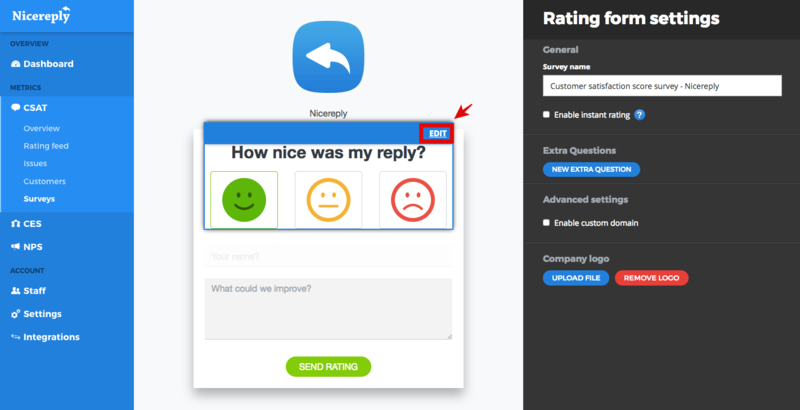 If you want to create custom domain for your survey go to your Nicereply account > click CSAT > Surveys > Settings of the chosen survey. Here you can create custom domain of the survey. 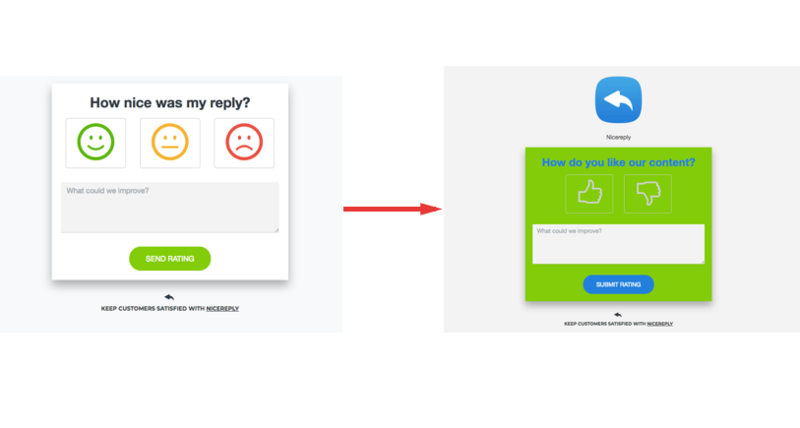 You've successfuly edited your CSAT survey appearance and created a survey that will match your branding and attract your customers.